Urban drivers have an innovative new option to rent vehicles in San Francisco — even a ride that might be just next door. 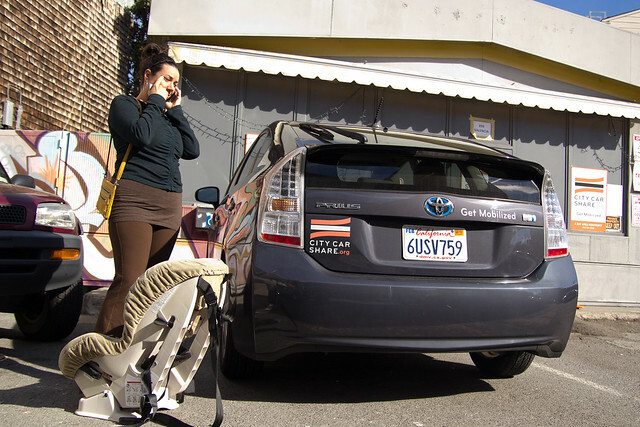 After success at several universities throughout the state — including UC Berkeley and Stanford — Wheelz, a peer-to-peer car-sharing service, has opened an office in the city. Wheelz made its San Francisco launch Oct. 30 with the help of a $13.7 million investment, led by Zipcar. The company is a smaller version of the booming company, focused on universities. After seeing the demand and expansion of car-sharing services, Zipcar has created a trend of investing in membership-based car-sharing companies. Wheelz is different in that it lets automobile owners rent out their own cars. Drivers can rent cars by the hour or day and prices vary from $4 to $40 per hour, depending on the vehicle. On average, car owners earn between $200 to $1,000 per month and drivers control their availability as well, according to Plashton. Plashton believes students enjoy the business because they either have a car and don’t use it as often as they intended, or they don’t own one and now temporarily have access to it. By using Wheelz’s Facebook page, app or website, customers can sign up for free and rent from a selection of owned vehicles, narrowing the search by model or neighborhood. The company also features DriveBox, a device designed and built by Wheelz engineers, that tracks mileage, location and can unlock the vehicle so both the driver and owner never have to meet to exchange keys. Prior to any rental, background checks are required from renters and those renting, and a vehicle history report must be submitted. Cars in the company inventory must be made after 1995 and have fewer than 150,000 miles. Wheelz’s staff will then test run the car to ensure proper function. Customers with more than three moving violations or a DUI are excluded from renting. Wheelz expanded into San Francisco after receiving Series A financing from Zipcar. Since its Oct. 30 launch, 50 car owners have signed up with 25 more awaiting approval as they undergo safety inspections. Wheelz is one of many car sharing companies that has launched in San Francisco within the last few years. Other car-sharing services such as Lyft, Uber and Sidecar vehicles can all be seen cruising throughout the city and have all gained popularity for their convenience, low prices and relief from the financial burden of owning a car. In additon, Plashton said public transportation is limited and, with only one-third of San Franciscans owning a vehicle, car rentals are the new norm. Jordan Wallace, 22, has used a car rental service twice this year. He enjoys renting a car since he doesn’t own one, but wouldn’t rent his car to a stranger. Wheelz protects its drivers and vehicles under a $1 million insurance plan provided by the National Automotive Club. Car owners are not required to pay extra from their personal auto insurance and are not subject to penalties if the renter is involved in an accident. Renters who are in a collision are subject to pay up to the $500 deductible for any damages. If the owner rents out his or her vehicle, “their insurance rates should not increase because the business provides the additional coverage needed,” Jenny Mack, spokeswoman for Northern California’s AAA, said. Wallace believes the rental can be appealing if someone is in desperate need of a car, but for the price he believes that there are more affordable alternatives. Plashton believes the broad range of cars is the reason Wheelz has become successful with college students. The company hopes to expand to other universities and metropolitan areas throughout the West Coast in the future.